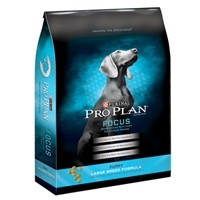 Pro Plan Extra Care Weight Management 16 lb. 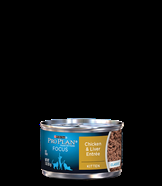 Designed for overweight or less active adult cats, Pro Plan Weight Management Formula is made with real chicken for excellent palatability. It is specially formulated to bolster your cat's key protective systems - the immune system, digestive system and skin & coat system - while it meets your cat's nutritional needs and makes losing weight easier. 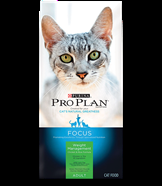 Pro Plan Extra Care Urinary Tract Health Cat 6/3.5 lb. 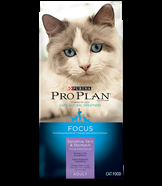 Pro Plan Extra Care Sensitive Skin & Stomach Cat 6/3.5 lb. 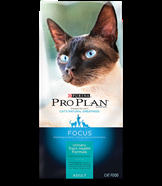 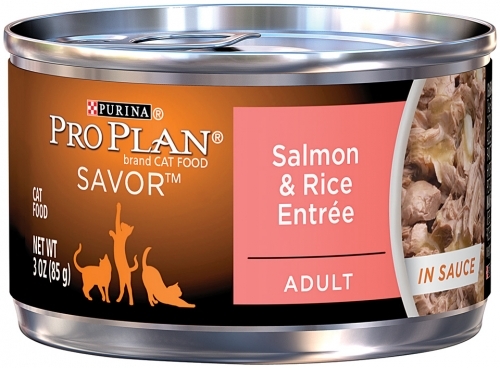 Pro Plan Sensitive Skin & Stomach Formula For Adult Cats is formulated for cat's that have sensitive needs. 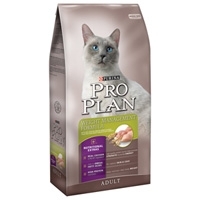 Pro Plan Extra Care Weight Management Cat 6/3.5 lb. Pro Plan Urinary Tract Health Formula - Chicken Entre has been specially formulated to produce a lower urinary pH in adult cats and provide low dietary magnesium while still allowing the essential minerals and nutrients to be utilized. 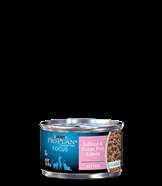 It also is specially formulated to help bolster your cat's key protective systems - the immune system, digestive system and skin & coat system - while it meets the energy and nutritional needs of an adult cat.